Microsoft is hosting a free online conference featuring Azure called AzureCon, starting tomorrow (Tuesday 29th) at 5pm UK/IE time, 9am PDT. Azure for IT implementors (Mark Russinovich): By now you will have heard of Azure and probably have been lost in a plethora of terminology: virtual networks, web apps, worker roles, virtual machines, Azure Active Directory, compute, REST APIs, blobs—the list goes on and on. Doesn’t it just make your head hurt? Come to this session and understand what Azure is, what can be done with it, and what role you can take as an IT pro. 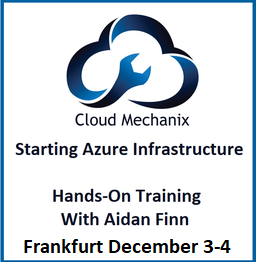 Gain a thorough understanding of the components of Azure. Learn how you can integrate on-premises and cloud services, creating solutions for the future. The session is packed with demos. Azure IaaS: proper sizing and cost (Robert Davis): Two of the most frequently asked questions about moving to Azure IaaS are “How do I size it?” and “What will it cost me?” These questions aren’t easy to answer. Many tools will tell you how to move an on-premises computer to an Azure virtual machine assuming that what you have now is exactly what you need in Azure. In this session, you’ll learn that it is possible to accurately determine what size Azure virtual machines you need and how to calculate the most cost-effective way to move to Azure. You’re moving to better, faster hardware, so why would you need the exact same number of virtual machines with the exact same memory and CPUs? Servers can be consolidated and sized appropriately when the recommendations are based on analysis of the actual performance of the existing servers with a mind for consolidation using very precise calculations of the performance capabilities of the Azure environment. 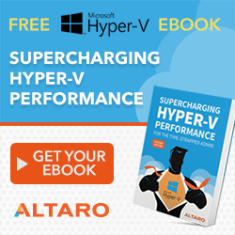 In addition to performance, you can accurately determine your best options based on costs for Azure in terms of storage, storage transactions, networking, and Microsoft SQL Server licensing. Would you be better off moving 5 on-premises servers on a standard A7 virtual machine or would 3 servers on a standard A5 and the other 2 on a basic A3 be more cost effective? This can be calculated. Deciding between different virtual machine sizes (Kenaz Kwa): Azure provides a wide range of virtual machine sizes for any workload that you might want to run. Trying to decide which size is right for your workload can seem challenging. Join this session to find out about some of the considerations for selecting virtual machine sizes and learn the differences between different virtual machine size families and their regional availability. Bring Azure to your datacenter with Azure Stack (Anant Sundaram): Modernization of on-premises infrastructure, hybrid approaches, and new models for application delivery all make it possible for IT to help drive business value and transformation. Learn how, with the recently announced Azure Stack, to bring the innovation from our hyper-scale datacenters into yours, enabling agility and productivity for application owners, with flexibility and control for IT. Increase productivity and enhance security with enterprise mobility (Adam Bresson): The rapid growth of mobile devices combined with ubiquitous access to cloud services is changing the way people use devices to get work done. In this session, learn how to deliver enterprise mobility with consistent experiences that enable users to work on the devices they choose, while providing a unified infrastructure for managing applications and protecting corporate data. This event is starting late for us Europeans. I wish MSFT would repeat this at Euro time zones. Note that the upcoming cloud road show has an audience reach that is too limited. Register & tune into this event and catch what you can – it should prove to be a learning experience. Any idea if the sessions will be recorded?